This is one of the most user friendly and efficient training bags on the market. 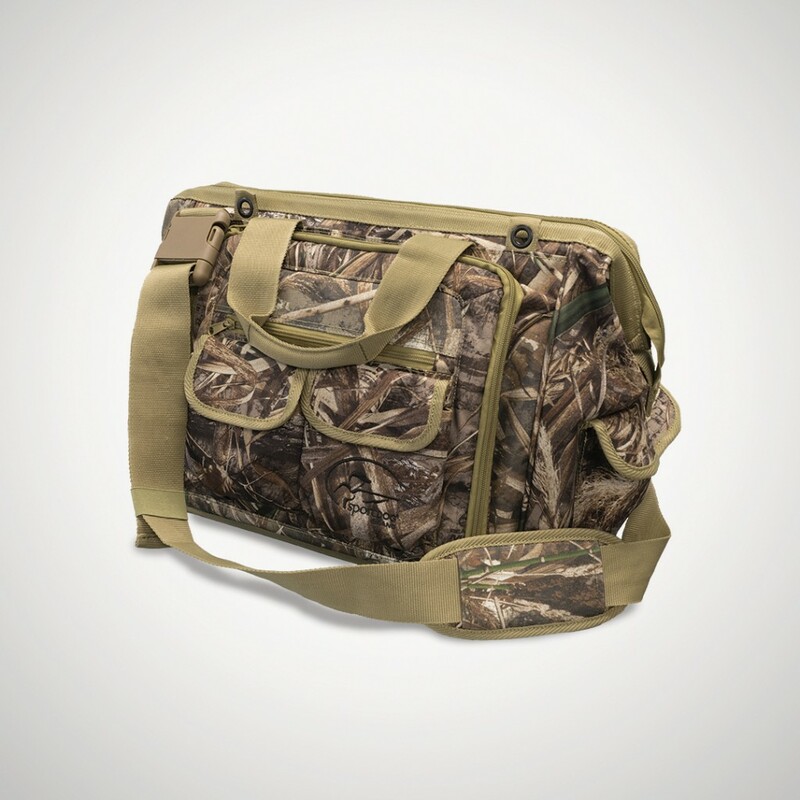 This bag is crafted with the professional trainer in mind, and we went to the field to make sure this bag lived up to Gear the Way You'd Design It®. 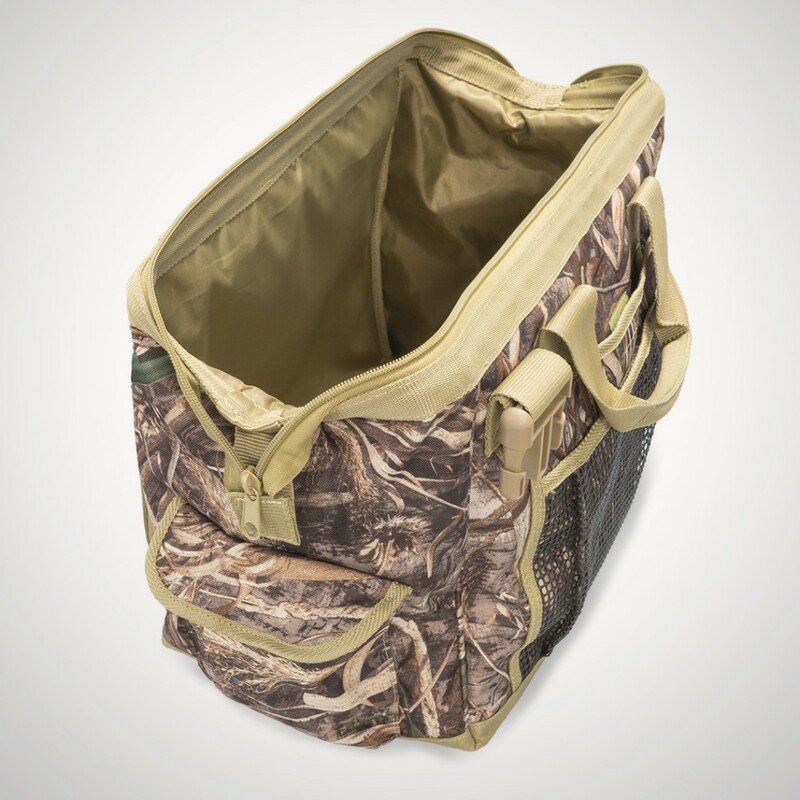 The bag features a heavy-duty, water-resistant polyester shell in Realtree Max-5® Camo with a double reinforced, water-resistant bottom and orange nylon inner liner. 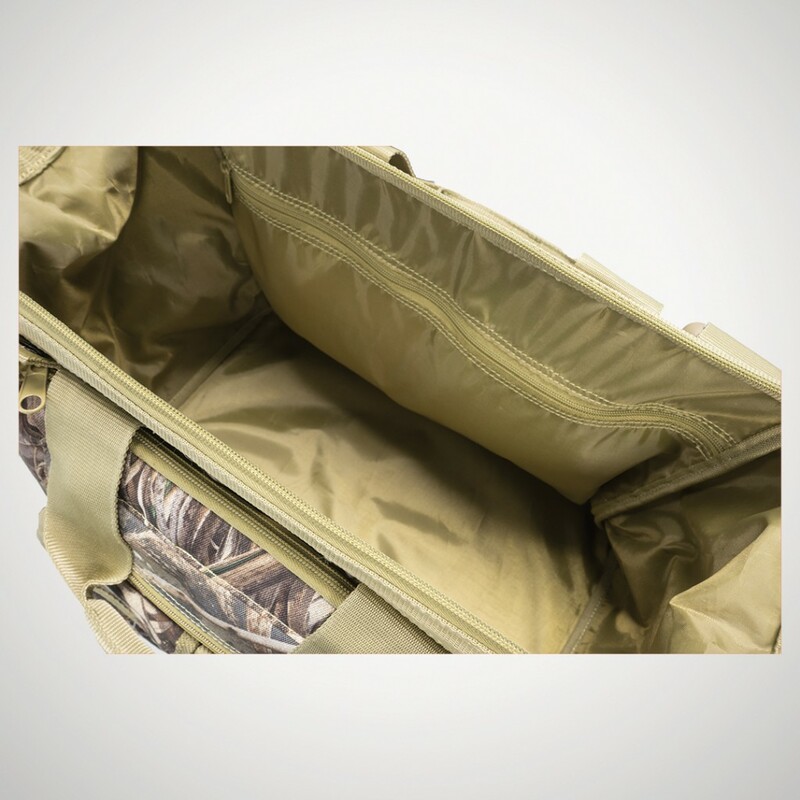 You'll have plenty of pockets for storing all of your training gear and first aid supplies, front magnetic pocket closures, and back rubber mesh pocket for storing wet/dirty gear separately. 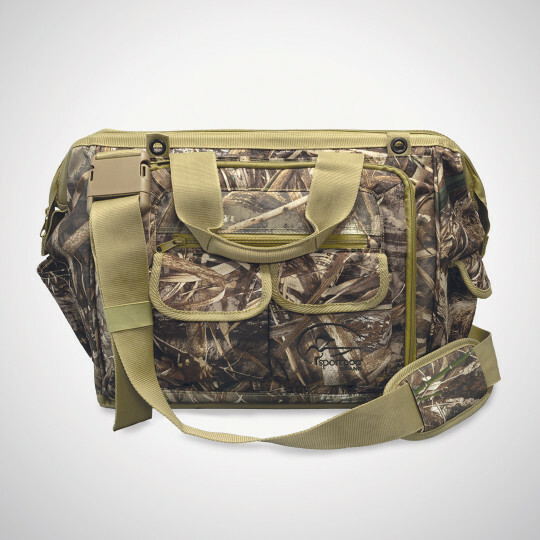 It's easy to bring all of your gear out to the field with 2 carry handles and a padded shoulder strap that doubles as a waist belt for waist sizes up to 44 inches. Overall: 16" x 11" x 4"